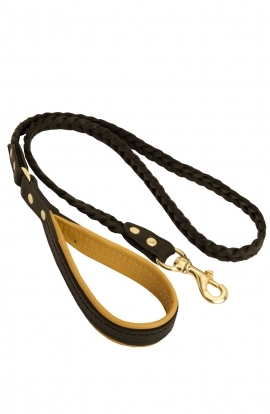 Many canine leads do not differ much from each other. 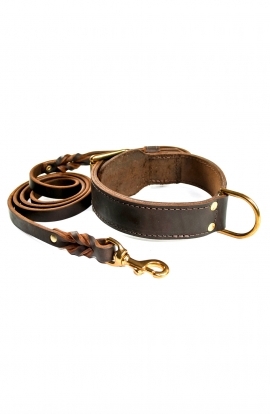 But the leash presented on this page will make your doggy stand out in the crowd. 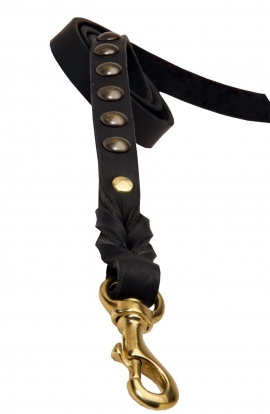 What is so special about it? 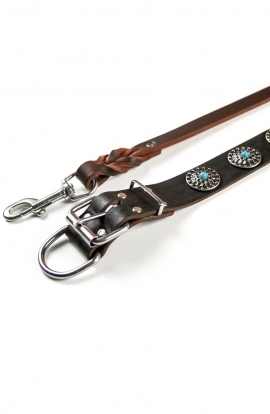 It has a unique decoration. 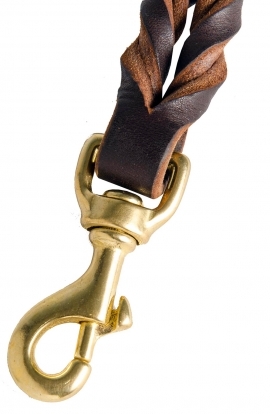 Have a closer look at it. 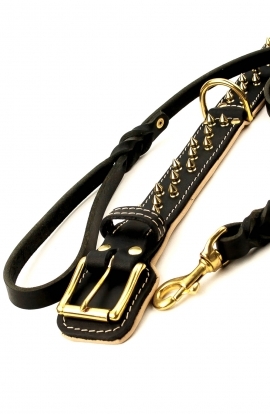 Most likely, you will like it. 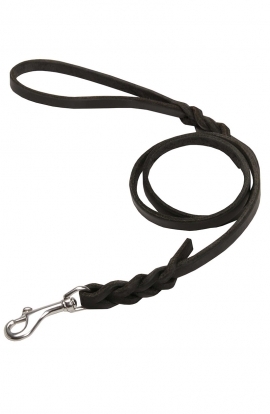 Moreover, because of this design the leash has some kind of anti-pulling effect. 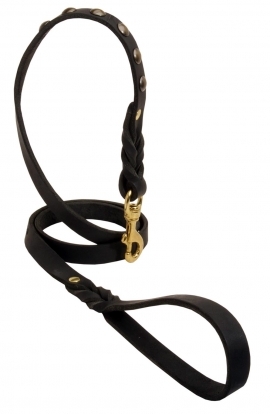 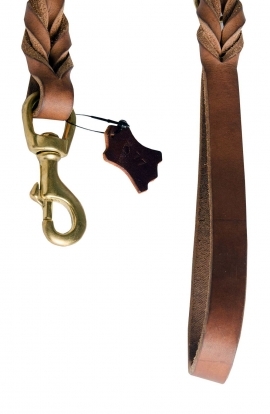 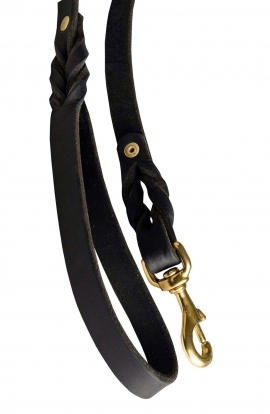 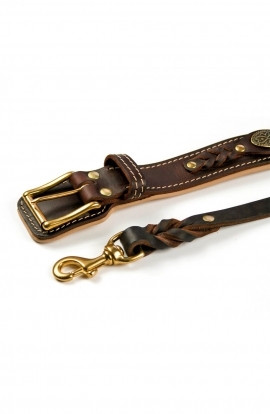 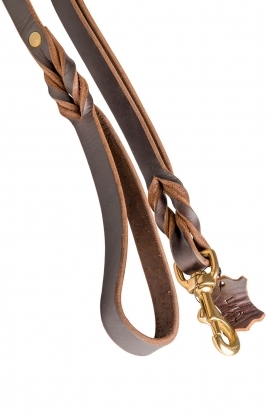 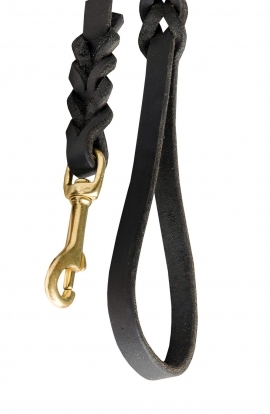 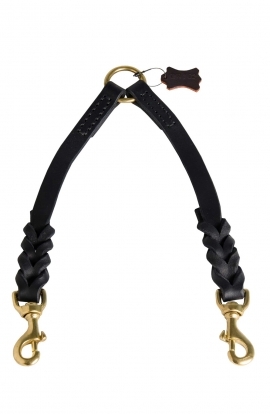 Just have a look at this Durable Leather Lead Decorated with Braids. 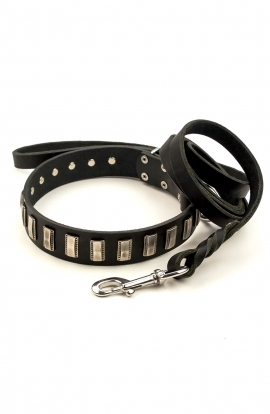 This canine item can be used for different kinds of activities, such as walking, training, patrolling, obedience training, etc. 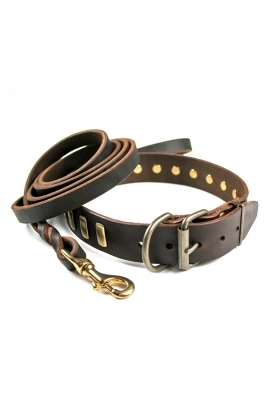 Strong genuine leather will provide your hands with the utmost comfort and safe use of this itm. 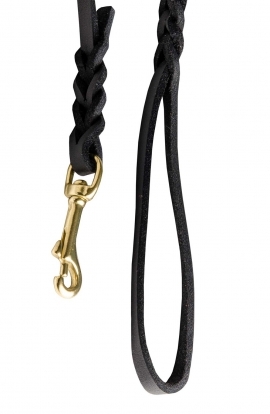 And these attractive braids will underline your unique style. 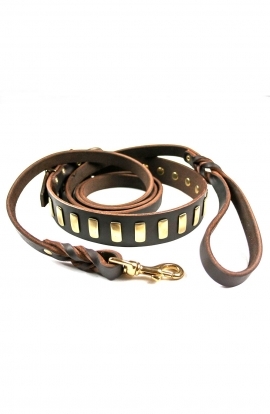 The leash presented on this page will make your daily walks with your pet pleasant and stylish. 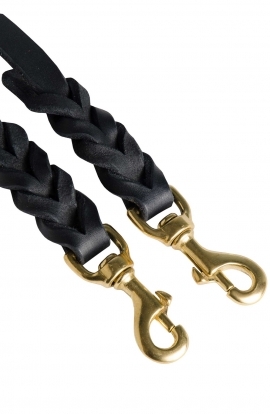 Braided decoration will emphasize your pet’s beauty, strength and seriousness. 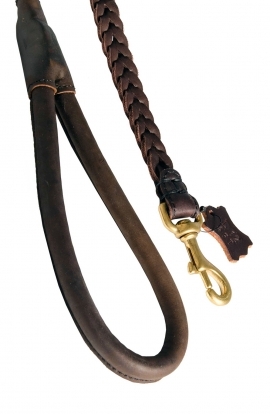 Furthermore, due to this design the durability of this lead is increased. 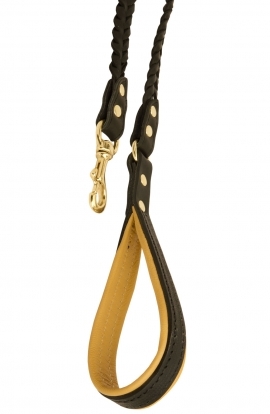 Use this item for many activities with your dog, for example walking or training. 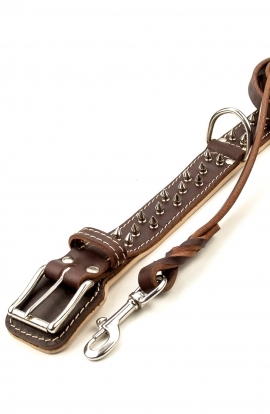 This Leather Leah meets the highest world dog standards. 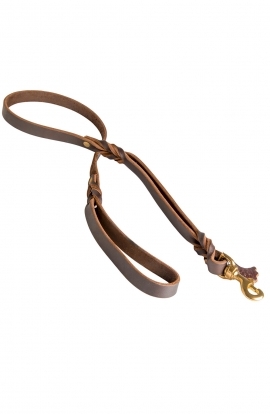 It is not only a reliable item that won't let you down. 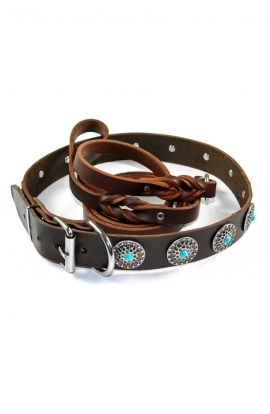 This lead will also add some zest to your dog’s appearance. 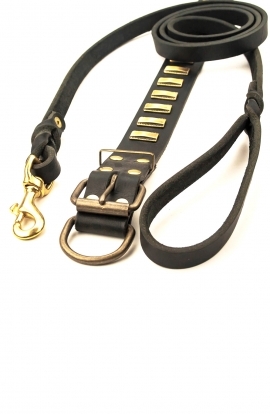 It will turn everyday routine walks and trainings into a holiday. 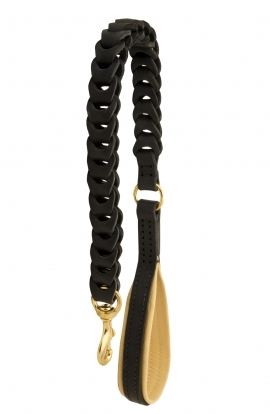 This leash is a great combination of stylish look, high quality and reasonable price. 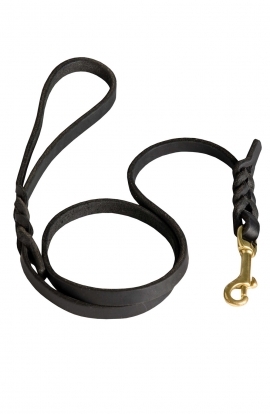 Universal Braided Leather Dog Leash. 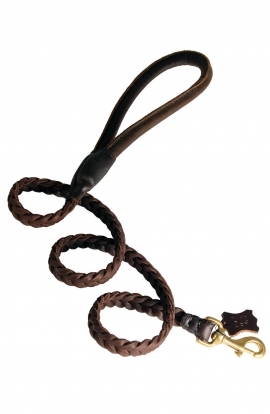 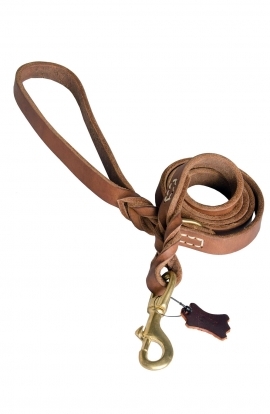 Use this leash for many activities with your dog, for example walking or training.